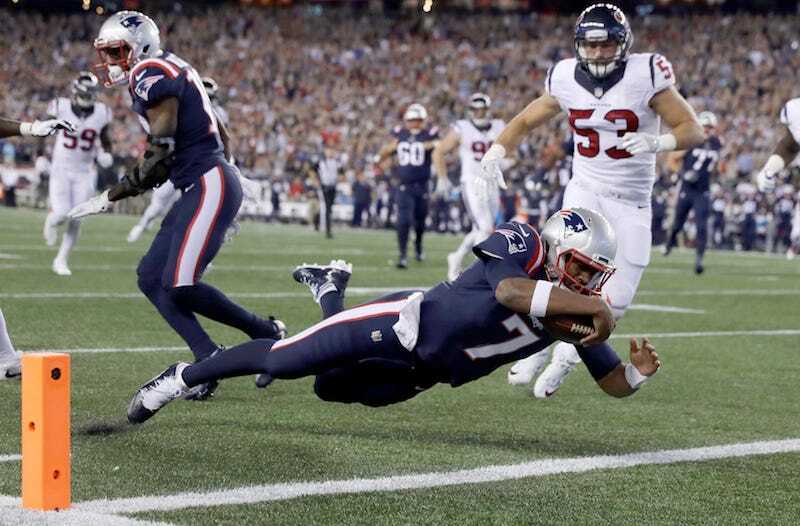 New England Patriots quarterback Jacoby Brissett injured his thumb in Thursday’s game against the Houston Texans and will need surgery, according to Mike Petraglia of WEEI. New England’s next game is Oct. 2 against the Buffalo Bills. If Rex Ryan can’t get his team’s first win against an opponent quarterbacked by Julian Edelman or a guy off the street, he’s going to be fired, right?